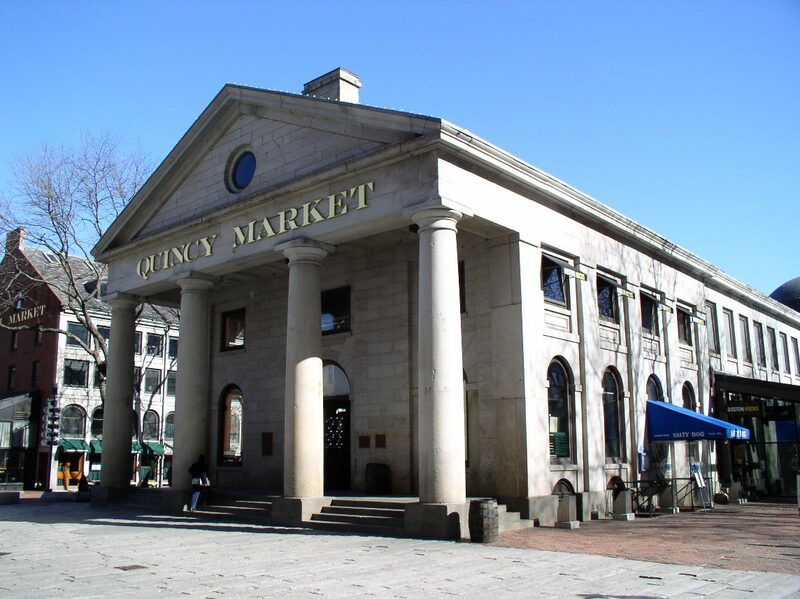 Quincy Market, Boston, MA. c.1825 by Alexander Parris. A typical Greek-style temple front with four Doric columns supporting a triangular pediment and entablature. PERIOD OF POPULARITY: Roughly 1810 – 1855. 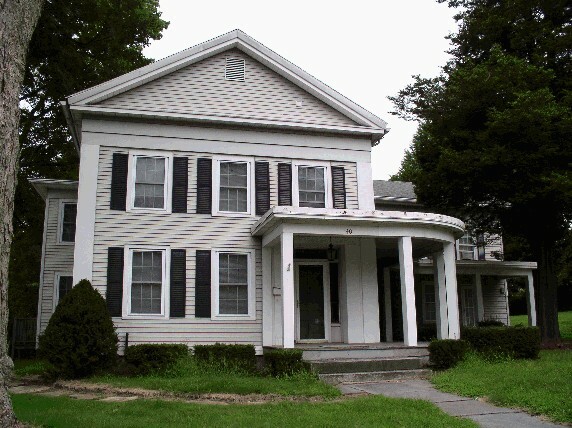 IDENTIFYING FEATURES: Gable or hipped, low-pitched roof; dentil cornice emphasized with wide band of trim — cornice represents classical entablature (includes cornice, frieze, architrave); porches or porticos: square or rounded columns (usually Doric). First style to use gable-front floor plan (gable end facing the street, representing a simple Greek temple), temple-front entryway with entry door surrounded by rectangular transom and sidelights (never rounded like federal). BACKGROUND AND INSPIRATION: Considered to be a subset of the larger Neoclassical period, Greek Revival became the dominant style in America between especially 1820-1850. It was consequently referred to as the “national style” due to its popularity. Further west, simplified versions of the style have been dubbed as the “Territorial style” in early Western towns, such as Santa Fe, NM or Tombstone, AZ. The style diffused westward with settlers (especially New Englanders, across upstate New York), and is considered to have been the first American architectural style to reach the American West Coast. As for inspirations and beginnings: Thomas Jefferson designed his rural home at Monticello near Charlottesville, VA in 1770. The future President is considered by some to be the last great Palladian architect, to be heavily influenced by the Renaissance-era’s Andrea Palladio. Monticello is clearly a simplified version of Palladio’s Villa Capra (La Rotonda), located outside Vicenza, Italy. Jefferson believed in architecture as a symbol, and he despised Williamsburg due to its English origins. Recall that revolutionaries were attempting to distance themselves from the British both politically adn symbolically. In short, colonial Williamsburg represented colonial exploitation. During his five years in France, Jefferson learned of Roman architecture and its symbolic association with Greek democracy. Inspired from Europe, by 1785 he had designed and built the Virginia State Capitol, considered to be the first building of the neoclassical movement in either U.S. or Europe. To Jefferson architecture was a form of visual education in support of democratic ideals. 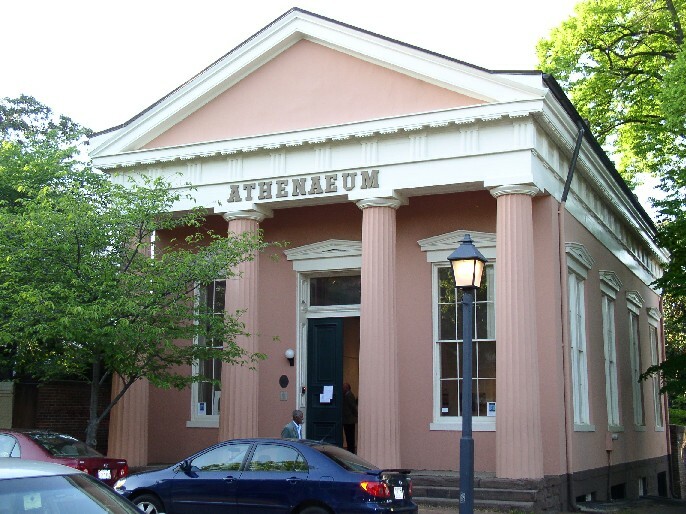 The Greek Revival movement became widely accepted throughout the early U.S. as a symbol of the new democracy. Greek place names, street names, and temple-front architecture became dominant throughout the Northeast and into the Midwest. Curiously, Pennsylvanians adopted the Greek Revival style only in minimal ways, preferring instead the tradition of the Georgian row house, right up through the Civil War. In the American South it became popular for urban townhouses as well as the now-famous plantation manors that dot the countryside with their full-length porticos and classical columns. Alexandria, VA. Old Dominion Bank Building, c.1851.Santa Fe, NM. A simplified, western version called Territorial Style, typically with square columns, classical trim around doors and windows, and flat brick or wooden roofline and cornice. 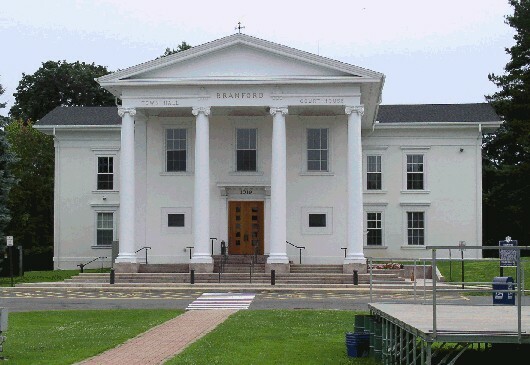 Stafford Springs, CT. A "temple and wing" configuration, also referred to as an "upright and wing". The temple-front upright is pictured here, with the wing to its right side. City Hall, Branford, CT. Symmetrical facade with projecting portico with four classical columns and triangular pediment. 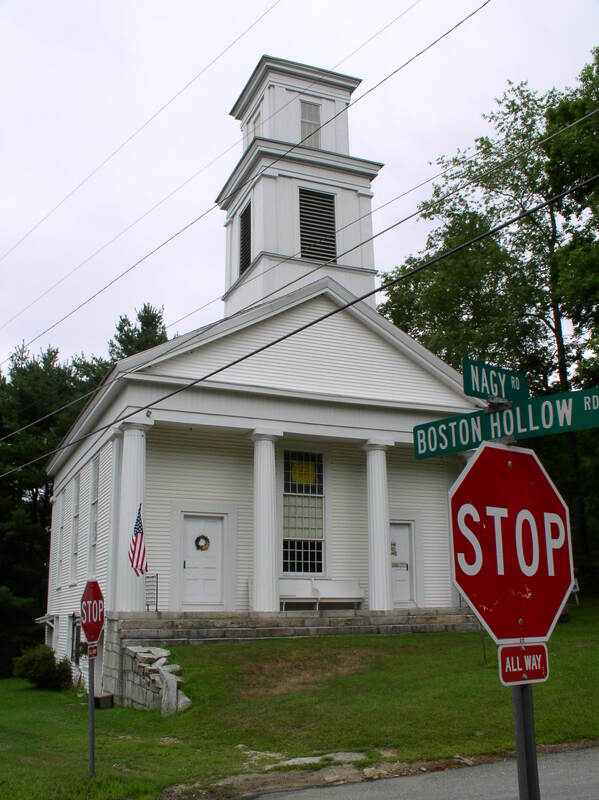 Northeastern CT. A Greek Revival Congregational Church, a very common pre-Civil War church design in New England.Santa Fe, NM. 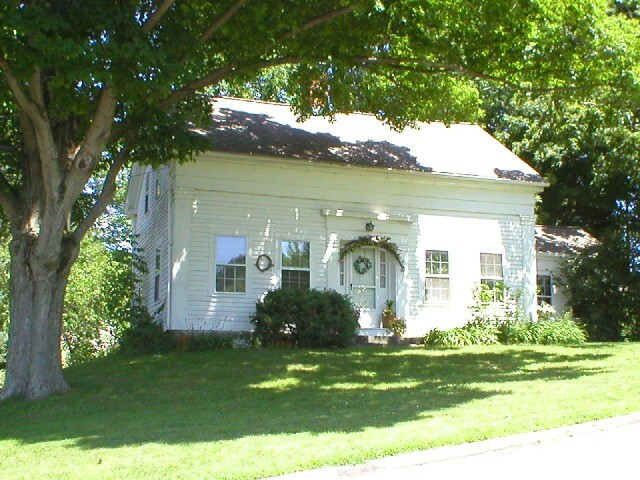 A western version called Territorial Style, with square columns, flat porch line and classical trim around windows and door. Plymouth, MA. Full temple-front facade and classical entry. 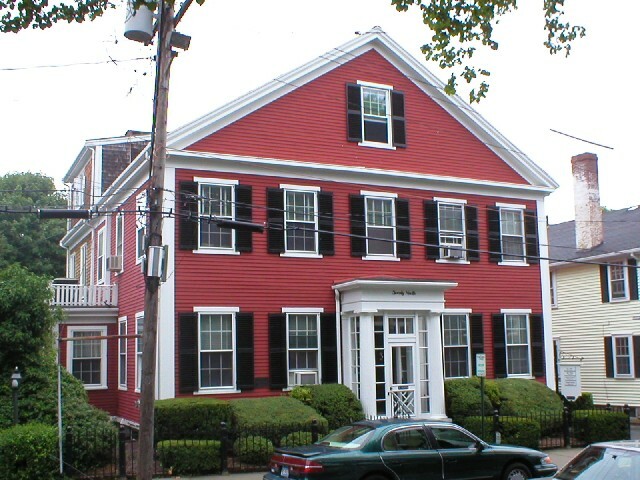 Still retains the standard five bays of earlier Georgian and Federal houses, but with gable facing the street. Ellington, CT. Greek Revival cottage, with one and one-half stories. 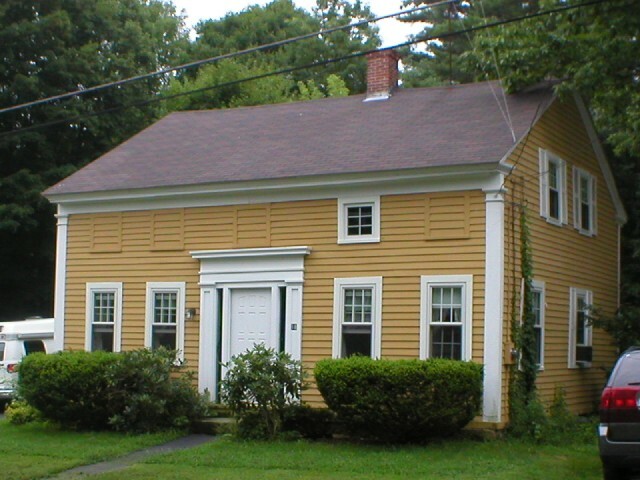 Also known as a Classic Cottage, or a New England One-and-a-half due to the one-and-a-half stories or floors. This type of house is easily identified with the New England region. Sturbridge, MA. Another classic cottage, this one with one of the five original ankle windows remaining.